When it comes time to exercise the wandering spirit, some people use airplane mode. 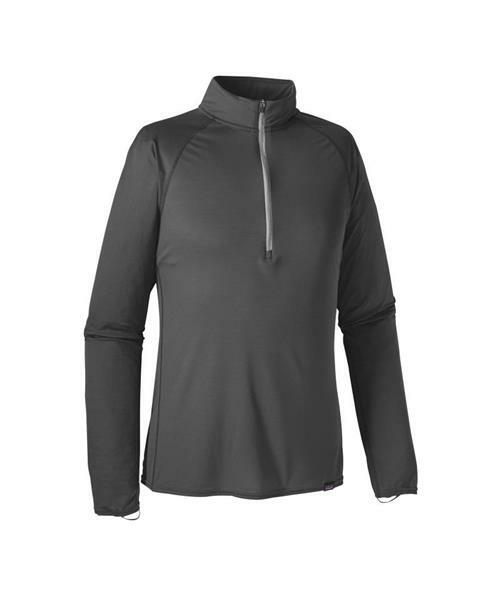 Patagonia used the Capilene® Lightweight Zip-Neck. Capilene® Lightweight is their lightest-weight, fastest-drying and best-wicking baselayer. The fabric’s subtle grid pattern sits lightly and comfortably on the skin; the smooth outer face glides easily in any layering system. Highly breathable for high-exertion and warm conditions, the fabric is 100% recycled polyester with 35-UPF sun protection and is treated with Polygiene® permanent odor control. Features include a long center-front zipper for venting your body heat, self-fabric collar with internal neck tape for chafe-free comfort, full underarm gussets for unhindered shoulder mobility, elastic thumb loops for secure hand coverage, flatlock seams to minimize chafing, offset shoulder and side seams to lie smoothly beneath pack straps, and a drop tail for additional coverage. Fair Trade Certified™ sewing.